"Problems After ACL Knee Surgery"
I had right knee ACL & Meniscal surgery on Nov 2014. Now I have been walking 4 km daily but the last few days I have got heavy pain and also been unable to walk a step. MRI & Xray done as per advised by dr. In the report it found constructed ACL & surrounding muscles are spread resulted some liquid fled. Dr. advised me to take rest 15 days. Since the end of November I’ve been suffering some heaviness, swelling & instability in knee. Please advise what to do. Hi Sanjay. It sounds like there is some ongoing swelling in the knee which is likely to be the cause of the pain. It is really important to work with a physiotherapist after ACL surgery to work on a rehab programme of strengthening and stability exercises to minimise problems after ACL reconstruction, so if you aren’t currently seeing one I would strongly advise that you start. 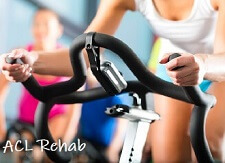 They can fully assess the knee to identify what things to work on without risking further damage to the knee. 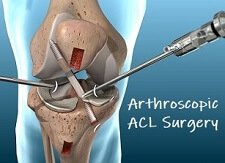 It does usually take up to a year to make a full recovery from an ACL knee reconstruction.